As you wind your camping season down, many of you will want to enjoy the colors of the Fall and get one or two more military surplus tent adventures in before the hard snow flies and it gets impossible to enjoy the outdoors without a cold bitterness setting in. You still can, as long as you adhere to some sound advice for enjoying the woods in a more harsh weather environment. 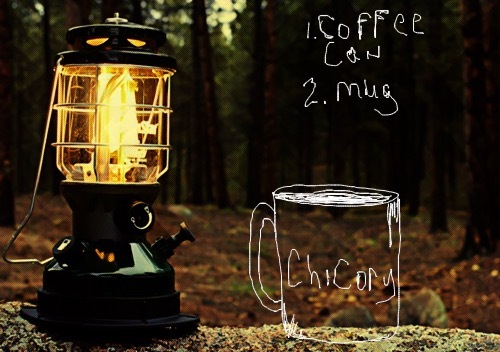 Here are 7 tips and tricks to make your camping trip more enjoyable in the Fall. 1. Try to eat something substantial before you turn in for the night. By substantial I mean carbohydrates. Something doughy like a donut or some biscuits. The carbs act as a fuel and they sit in your stomach for a while getting broken down. The mass stays warm and retains that warmth. 2. Don't pee if you don't absolutely have to. I know this sounds strange, but your body has to heat your urine up to 98 degrees before it can expel it. Therefore you are streaming an internal source of heated water into the environment and depriving yourself of inner warmth. Hold it until dawn if you possibly can, you'll sleep warmer. 3. Use a ground cloth or better yet, a cot. The earth with leech the warmth from your bones; thereore you are better off keeping as much space between you and it as you can. 4. Drink something hot before bed. See tip number 2 for reference. Not only is retaining something warm a good idea, introducing something warm is as well. 5. Wear twice the amount of clothing that you think you will need. Remember, dead air space captures warmth and the more layers of clothing you wear the more dead air space you are creating. 6. Gather three times the amount of firewood that you think you might need. I have always found that I never get enough firewood for some reason. It burns fast when you're cold, and many a night I have awoken shivering and covered in ashes as I worked my way closer to the dying coals of a fire as I slept. 7. Have a reserve plan if necessary. For me this has always been keeping the car handy in case temperatures have fallen too fast unexpectedly. It's always nice to be able to jump in the car and turn the heater on if need be.